Every vacation pleasure you could hope for is waiting for you at Carolina Beach! 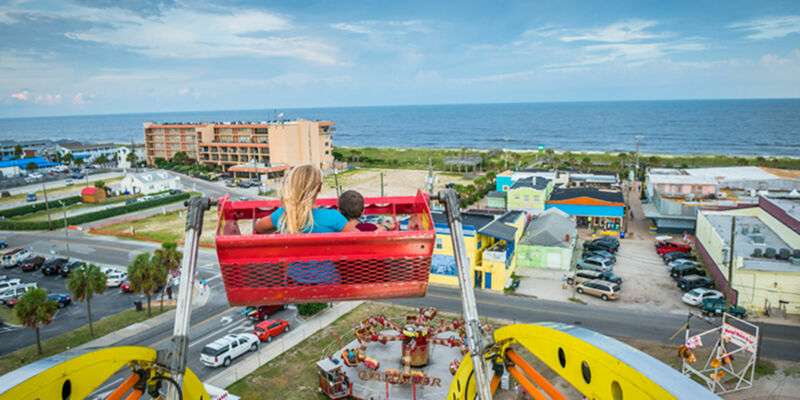 Located at the north end of Pleasure Island, North Carolina, our town of about 5,600 friendly residents has a quaint vintage feel sure to transport you back to your childhood days at the beach. Yet we provide every modern convenience you could hope for and you'll be welcomed as one of our own! Visit our Pleasure Island Chamber of Commerce Member Directory to explore some of the unique attractions Carolina Beach has to offer inlcuding the Carolina Beach State Park and Freeman Park on the North end of the island.